The XT685 is a residential treadmill and has the same options as the XT185, 285, 385, and 485 plus larger diameter rollers and a 2" wider belt. This model is very appealing to someone that is a walker or a runner. This model features a non-folding platform base which is designed to stand up to the rigors of frequent running.This unit features a bright blue backlit LCD console, Quick Speed and Incline keys, wireless heart rate (telemetric chest strap included), remote Speed and Incline controls, and an anatomical figure that specifies which muscles are minimally and maximally activated. Motor-This unit comes equipped with a 3.5 hp continuous duty AC motor to meet the demands of various size individuals running on the treadmill. Fusion Program-This integrates cardiovascular, strength, and active rest intervals all into one program. The message center on the LCD screen prompts you when to perform each activity. Calorie Program-If you are on a diet that counts calories, this program can really be beneficial. Simply enter the amount of calories you would like to burn and your max speed/ incline and the program will calculate the amount of time necessary to achieve this. MP3 AUDIO JACK & SPEAKERS-Plug your MP3, Smart phone, or digital tuner into this jack for music broadcasting. REMOTE ADJUSTMENT KEYS-The user has the ability to adjust the incline on the left handlebar or the speed on the right handlebar. If you decide not to use them, simply press the Disable button on the console. HEART RATE % PROFILE-Heart Rate training is proven to be one of the best ways to measure your workout. Our Heart Rate % Profile gives you a quick reference of your % compared to maximum projected heart rate. The LED lights up in Amber for 50-60%, Green for 65% to 80%, and Red for 85%+. CONSOLE FEEDBACK-A 9” blue backlit LCD screen that conveniently displays 9 pieces of data at a time to keep you informed and motivated. MUSCLE ACTIVATION-It’s important to understand which muscle groups are gaining the most benefit during your workout. On our treadmills, you will be using your glute (bottom), hamstring (back of your thigh), quad (thigh), calf, pec and arm muscles. COOLING FAN-Cooling fans that swivel are standard on all of our treadmills. This may just be the reason you extend your workout by a few minutes. QUICK KEYS-The ability to quickly program a specific incline or speed with just a few key strikes. CUSHIONING-6 cushions evenly distributed throughout the unit ensure a comfortable experience. *Note: Most of the sites, stores or shopping portals listed above sell Spirit XT685 Residential Treadmill with discounts and other exciting offers. 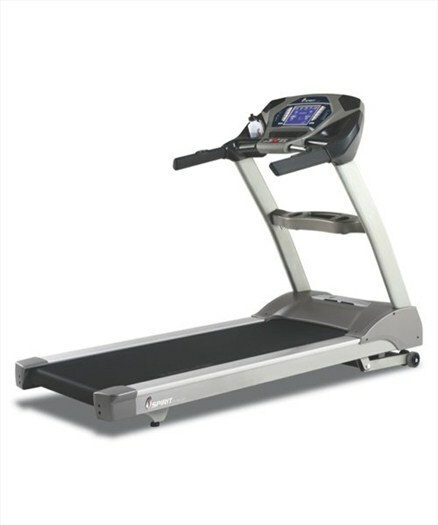 There is a possibility that the some of above websites are not selling Spirit XT685 Residential Treadmill now. Toughtrain.com is not liable for such cases or instances. Also we do not recommend any seller for Spirit XT685 Residential Treadmill and a buyer should buy from where he/she gets best deal with quality of products, service and on time delivery (shipment).